Few indoor plants bloom nearly non-stop like wax begonia. 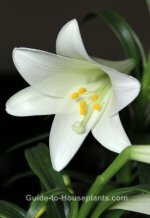 It's actually a tender perennial that will grow and flower year-round indoors. Put your begonia in a bright, warm spot and you'll enjoy an ongoing show of colorful, cheerful flowers. The begonia family includes more than 1,000 species and 10,000 hybrids and cultivars. Ongoing hybridization improves these beautiful flowering house plants. Newer hybrids are more compact with more -- and bigger -- blooms than we've ever seen. Many varieties are available with white and many shades of pink and red flowers. 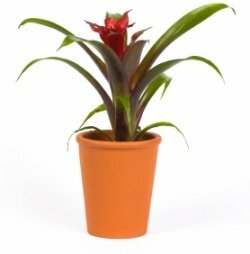 When buying a new flowering plant, choose one that has good bud color and has just started to bloom. 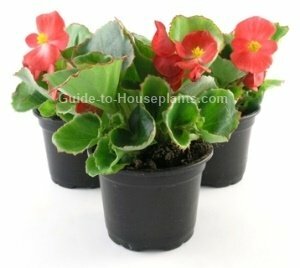 You'll find these plants sold as wax begonia or bedding begonia. Round, thick, waxy leaves give this beautiful flowering plant its common name. They're typically dark-green and may be tinged with bronze. Some hybrids have burgundy leaves or are variegated with white. These prolific bloomers stay small, so grow several in a large pot for big impact. Or place a few small pots together. Keep the soil moist. Allowing it to dry out will leave it susceptible to disease. But you don't want soggy soil, either. Overwatering your begonia will cause leaves to wilt and turn yellow. Cut off any affected leaves as soon as you notice them. They're likely to rot and attract fungus. The moist conditions begonias love make them prone to powdery mildew -- a powdery white fungus that appears on the foliage. Spray an affected plant with a fungicide and keep it away from other plants to prevent it from spreading. Shed some light. Give your begonia plenty of bright light year-round. Plants that don't bloom aren't getting enough sunlight. Prune your plant. Remove spent flowers to encourage more blooms. Also cut back the foliage occasionally to keep it looking neat. Raise the humidity. 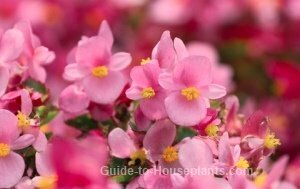 Begonias will suffer in the dry air of a heated home in winter. Keep them away from air vents and drafts. If the relative humidity drops below 50%, place your begonia on a tray of wet pebbles or use a room humidifier. Light: Bright, indirect light. Begonias grow well under fluorescent lights, too. If you move your begonia outdoors for the summer, keep it shaded from hot, direct sun. Water: Keep soil evenly moist all year. Overwatering will cause leaves to turn yellow. Humidity: Medium to high. Keep pot on a tray of wet pebbles to increase humidity. Temperature: Cool nights (60°F/16°C) and warm days (65-75°F/18-24°C) will trigger flower buds. Fertilizer: A steady diet of weak fertilizer will keep begonias happy. Feed monthly with a high-phosphorus (10-20-10) liquid fertilizer diluted by half. Propagation: Take stem cuttings in spring and root in fresh potting mix. Keep soil lightly moist. Cover the whole container and plant with a plastic bag or cloche to hold in humidity. Wax begonia seeds are tiny and slow to germinate. You can sow seeds in spring, but it can take several months to grow.